French Canadians (also referred to as Franco-Canadians or Canadiens; French: Canadien(ne)s français(es)) are an ethnic group who trace their ancestry to French colonists who settled in Canada from the 17th century onward. Today, people of French heritage make up the majority of native speakers of French in Canada, who in turn account for about 22 per cent of the country's total population. The majority of French Canadians reside in Quebec, where they constitute the majority of the province's population, although French-Canadian and francophone minority communities exist in all other Canadian provinces and territories as well. Besides the Québécois, distinct French speaking ethnic groups in Canada include the Acadians of the Maritime Provinces, the Brayons of New Brunswick, and the Métis of the Prairie Provinces, among other smaller groups. During the mid-18th century, Canadian colonists born in French Canada expanded across North America and colonized various regions, cities, and towns; the French Canadian settlers originated primarily from districts in the west of France, such as Normandy, Perche, Beauce, Maine, Anjou, Touraine, Poitou, Aunis, Angoumois, Saintonge and Gascony. Today, French Canadians live across North America. Most French Canadians reside in Quebec, and are more commonly referred to as Quebecers or Québécois, although smaller communities exist throughout Canada and in the United States. Between 1840 and 1930, roughly 900,000 French Canadians emigrated to the United States, mostly to the New England region. 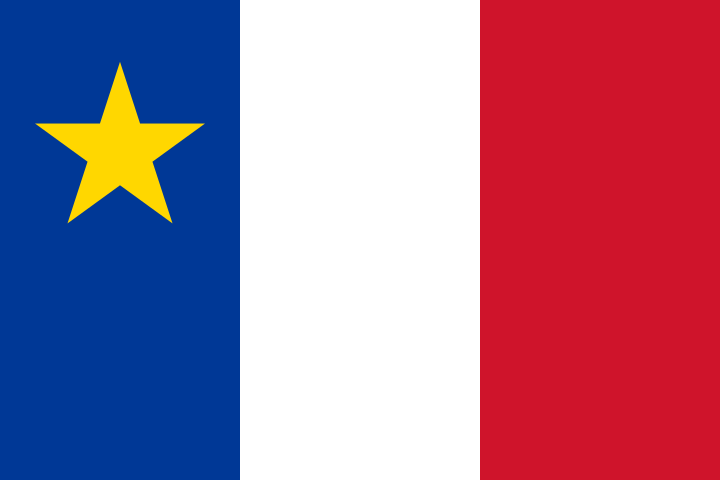 Acadians (Acadiens), who reside in the Maritimes, may be included among the French Canadian group in linguistic contexts, but are considered a separate group from the French Canadians in a cultural sense due to their distinct history, much of which predates the admission of the Maritime Provinces to Canadian Confederation in 1867. French Canadians (including those who are no longer French-speaking) constitute the second largest ethnic group in Canada, behind those of English ancestry, and ahead of those of Scottish and Irish heritage; there is nevertheless a distinction between those identifying as French Canadians and those simply identifying as French. In total, those whose ethnic origins are French Canadian, French, Québécois and Acadian number up to 11.9 million people or comprising 33.78% of the Canadian population. Not all francophone Canadians are of French-Canadian descent or heritage, as the body of French language speakers in Canada also includes significant immigrant communities from other francophone countries such as Haiti, Cameroon, Algeria, Tunisia or Vietnam — and not all French Canadians are francophone, as a significant number of people who have French Canadian ethnic roots are native English speakers. The French Canadians get their name from Canada, the most developed and densely populated region of New France during the period of French colonization in the 17th and 18th centuries. The original use of the term Canada referred to the land area along the St. Lawrence River, divided in three districts (Québec, Trois-Rivières, and Montréal), as well as to the Pays d'en Haut (Upper Countries), a vast and thinly settled territorial dependence north and west of Montreal which covered the whole of the Great Lakes area. From 1535 to the 1690s, the French word Canadien had referred to the First Nations the French had encountered in the St. Lawrence River valley at Stadacona and Hochelaga. At the end of the 17th century, Canadien became an ethnonym distinguishing the inhabitants of Canada from those of France. After World War I, English-Canadians appropriated the term "Canadian" and French-Canadians identified as Québécois instead. Since the 1960s, French Canadians in Quebec have generally used Québécois (masculine) or Québécoise (feminine) to express their cultural and national identity, rather than Canadien français and Canadienne française. Francophones who self-identify as Québécois and do not have French-Canadian ancestry may not identify as "French Canadian" (Canadien or Canadien français). Those who do have French or French-Canadian ancestry, but who support Quebec sovereignty, often find Canadien français to be archaic or even pejorative. This is a reflection of the strong social, cultural, and political ties that most Quebecers of French-Canadian origin, who constitute a majority of francophone Quebecers, maintain within Quebec. It has given Québécois an ambiguous meaning which has often played out in political issues, as all public institutions attached to the Government of Quebec refer to all Quebec citizens, regardless of their language or their cultural heritage, as Québécois. Academic analysis of French Canadian culture has often focused on the degree to which the Quiet Revolution, particularly the shift in the social and cultural identity of the Québécois following the Estates General of French Canada of 1966 to 1969, did or did not create a "rupture" between the Québécois and other francophones elsewhere in Canada. During the mid-18th century, French Canadian explorers and colonists colonized other parts of North America in what are today Louisiana (called Louisianais), Mississippi, Missouri, Illinois, Wisconsin, Indiana, Ohio, far northern New York and the Upper Peninsula of Michigan as well as around Detroit. They also founded such cities as New Orleans and St. Louis and villages in the Mississippi Valley. French Canadians later emigrated in large numbers from Canada to the United States between the 1840s and the 1930s in search of economic opportunities in border communities and industrialized portions of New England. French-Canadian communities in the United States remain along the Quebec border in Maine, Vermont, and New Hampshire, as well as further south in Massachusetts, Rhode Island, and Connecticut. There is also a significant community of French Canadians in South Florida, particularly Hollywood, Florida, especially during the winter months. The wealth of Catholic churches named after St. Louis throughout New England is indicative of the French immigration to the area. They came to identify as Franco-American, especially those who were born American. Distinctions between French Canadian, natives of France, and other New World French identities is more blurred in the U.S. than in Canada, but those who identify as French Canadian or Franco American generally do not regard themselves as French. Rather, they identify culturally, historically, and ethnically with the culture that originated in Quebec that is differentiated from French culture. In L'avenir du français aux États-Unis, Calvin Veltman and Benoît Lacroix found that since the French language has been so widely abandoned in the United States, the term "French Canadian" has taken on an ethnic rather than linguistic meaning. There are various urban and small centres in Canada outside Quebec that have long-standing populations of French Canadians, going back to the late 19th century, due to interprovincial migration. Eastern and Northern Ontario have large populations of francophones in communities such as Ottawa, Cornwall, Hawkesbury, Sudbury, Welland, Timmins and Windsor. Many also pioneered the Canadian Prairies in the late 18th century, founding the towns of Saint Boniface, Manitoba and in Alberta's Peace Country, including the region of Grande Prairie. The French-speaking population have massively chosen the "Canadian" ("Canadien") ethnic group since the government made it possible (1986), which has made the current statistics misleading. The term Canadien historically referred only to a French-speaker, though today it is used in French to describe any Canadian citizen. It is estimated that roughly 70–75% of Quebec's population descend from the French pioneers of the 17th and 18th century. In the United States, many cities were founded as colonial outposts of New France by French or French-Canadian explorers. They include Mobile (Alabama), Coeur d'Alene (Idaho), Vincennes (Indiana), Belleville (Illinois), Bourbonnais (Illinois), Prairie du Rocher (Illinois), Dubuque (Iowa), Baton Rouge (Louisiana), New Orleans (Louisiana), Detroit (Michigan), Biloxi (Mississippi), Creve Coeur (Missouri), St. Louis (Missouri), Pittsburgh (Fort Duquesne, Pennsylvania), Provo (Utah), Green Bay (Wisconsin), La Crosse (Wisconsin), Milwaukee (Wisconsin) or Prairie du Chien (Wisconsin). Francophones living in Canadian provinces other than Quebec have enjoyed minority language rights under Canadian law since at least 1969, with the Official Languages Act, and under the Canadian Constitution since 1982, protecting them from provincial governments that have historically been indifferent towards their presence. At the provincial level, New Brunswick formally designates French as a full official language, while other provinces vary in the level of French language services they offer. All three of Canada's territories include French as an official language of the territory alongside English and local indigenous languages, although in practice French-language services are normally available only in the capital cities and not across the entire territory. French Canadians have selectively bred distinct livestock over the centuries, including cattle, horses and chickens. Traditionally Canadiens had a subsistence agriculture in Eastern Canada (Québec), this subsistence agriculture slowly evolved in dairy farm during the end of the 19th century and the beginning of 20th century while retaining the subsistence side. By 1960 agriculture changed toward an industrial agriculture. The first permanent European settlements in Canada were at Port Royal in 1605 and Quebec City in 1608 as fur trading posts. The territories of New France were Canada, Acadia (later renamed Nova Scotia), and Louisiana. The inhabitants of Canada called themselves the Canadiens, and came mostly from northwestern France. The early inhabitants of Acadia, or Acadiens, came mostly but not exclusively from the Southwestern region of France. Canadien explorers and fur traders would come to be known as coureurs des bois and voyageurs, while those who settled on farms in Canada would come to be known as habitants. Many French Canadians are the descendants of the King's Daughters (filles du roi) of this era. Many also are the descendants of mixed French and Algonquin marriages (see also Metis people). The British gained Acadia by the Treaty of Utrecht in 1713. It took the 1774 Quebec Act for French Canadians to regain the French civil law system, and in 1791 French Canadians in Lower Canada were introduced to the British parliamentary system when an elected Legislative Assembly was created. In English usage, the terms for provincial subgroups, if used at all, are usually defined solely by province of residence, with all of the terms being strictly interchangeable with French Canadian. Although this remains the more common usage in English, it is considered outdated to many Canadians of French descent, especially in Quebec. Most francophone Canadians who use the provincial labels identify with their province of origin, even if it is not the province in which they currently reside; for example, a Québécois who moved to Manitoba would not normally change their own self-identification to Franco-Manitoban. Increasingly, provincial labels are used to stress the linguistic and cultural, as opposed to ethnic and religious, nature of French-speaking institutions and organizations. The term "French Canadian" is still used in historical and cultural contexts, or when it is necessary to refer to Canadians of French-Canadian heritage collectively, such as in the name and mandate of national organizations which serve francophone communities across Canada. Francophone Canadians of non-French-Canadian origin such as immigrants from francophone countries are not usually designated by the term "French Canadian" the more general term "francophones" is used for French-speaking Canadians across all ethnic origins. ^ Statistics Canada. "Census Profile, 2016 Census". Retrieved 2 December 2014. ^ "Quick Facts about Canada's Francophonie". ocol-clo.gc.ca. 21 March 2013. Retrieved 2 October 2013. ^ R. Louis Gentilcore. Historical Atlas of Canada: The land transformed, 1800-1891. University of Toronto Press. ISBN 0802034470. ^ G. E. Marquis and Louis Allen, "The French Canadians in the Province of Quebec". The Annals of the American Academy of Political and Social Science, Vol. 107, Social and Economic Conditions in The Dominion of Canada (May, 1923), pp. 7-12. ^ "2011 National Household Survey: Data tables: Ethnic origin". Statistics Canada. 4 March 2014. Retrieved 17 August 2015. ^ Kuitenbrouwer, Peter (27 June 2017). "The Strange History of 'O Canada'". The Walrus. Retrieved 7 July 2017. ^ See p. 14 of the report Archived 4 January 2007 at the Wayback Machine. ^ Bédard, Guy (2001). "Québécitude: An Ambiguous Identity". In Adrienne Shadd; Carl E. James (eds.). Talking about Identity: Encounters in Race, Ethnicity and Language. Toronto: Between the Lines. pp. 28–32. ISBN 1-896357-36-9. 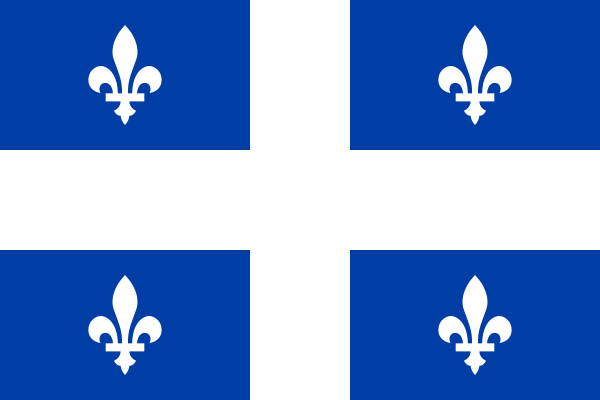 ^ "House passes motion recognizing Québécois as nation". Canadian Broadcasting Corporation. 27 November 2006. Retrieved 21 December 2006. ^ "Québec/Canada francophone : le mythe de la rupture". Relations 778, May/June 2015. ^ Belanger, Damien-Claude; Belanger, Claude (23 August 2000). "French Canadian Emigration to the United States, 1840-1930". Quebec History. Marianapolis College CEGEP. Retrieved 5 May 2008. ^ Veltman, Calvin; Lacroix, Benoît (1987). "L'avenir du français aux États-Unis". Service des communications. Retrieved 1 May 2018. ^ Claude Bélenger (23 August 2000). "The Quiet Revolution". Retrieved 2 March 2011. ^ Marquis, G. E.; Allen, Louis (1 January 1923). "The French Canadians in the Province of Quebec". The Annals of the American Academy of Political and Social Science. 107: 7–12. JSTOR 1014689. Allan, Greer (1997). The People of New France. (Themes in Canadian History Series). University of Toronto Press. ISBN 0-8020-7816-8137 pages. Brault, Gerard J. (15 March 1986). The French-Canadian Heritage in New England. University Press of New England. ISBN 0-87451-359-6312 pages. Doty, C. Stewart (1985). The First Franco-Americans: New England Life Histories from the Federal Writers' Project, 1938-1939. University of Maine at Orono Press312 pages. Louder, Dean R.; Eric Waddell (1993). French America: Mobility, Identity, and Minority Experience across the Continent. Franklin Philip (trans.). Louisiana State University Press. Marquis, G. E.; Louis Allen (May 1923). "The French Canadians in the Province of Quebec". Annals of the American Academy of Political and Social Science. 107 (Social and Economic Conditions in The Dominion of Canada): 7–12. doi:10.1177/000271622310700103. Retrieved 18 June 2014. The 1st Canadian Regiment, an Extra Continental regiment, was raised by James Livingston to support Colonial efforts in the American Revolutionary War during the invasion of Quebec. Livingston recruited men from Chambly, Quebec as early as September 1775, but a formal regimental designation was made by Richard Montgomery on November 20, 1775, with recognition by the Second Continental Congress following on January 8, 1776. The regiment, which never approached its authorized size of 1,000 men, saw action primarily in the Canadian theater and New York, and was disbanded on January 1, 1781, at King's Ferry, New York. "Canuck" is a slang term for a Canadian. The origins of the word are uncertain. The term "Kanuck" is first recorded in 1835 as an Americanism, originally referring to Dutch Canadians or French Canadians. By the 1850s, the spelling with a "C" became predominant. Today, English Canadians and others use "Canuck" as a term for any Canadian. Chinookan peoples include several groups of indigenous people of the Pacific Northwest in the United States who speak the Chinookan languages. In the early 19th century, the Chinookan-speaking peoples resided along the Lower and Middle Columbia River (Wimahl) (″Big River″) from the river's gorge (near the present town of The Dalles, Oregon) downstream to the river's mouth, and along adjacent portions of the coasts, from Tillamook Bay of present-day Oregon in the south, north to Willapa Bay in southwest Washington. In 1805 the Lewis and Clark Expedition encountered the Chinook tribe on the lower Columbia. The name ″Chinook″ came from a Chehalis word Tsinúk for the inhabitants of and a particular village site on Baker Bay. Since the late 20th century, the unrecognized Chinook Indian Nation of Washington made up of 2700 members of westernmost Lower Chinook peoples (the Clatsop and Kathlamet of what is now Oregon and the Lower Chinook (Chinook proper), Wahkiakum and Willapa Chinook of Washington State), has worked to obtain federal recognition. It gained this in 2001 from the Department of Interior under President Bill Clinton. After President George W. Bush was elected, his political appointees reviewed the case and, in a highly unusual action, revoked the recognition. The tribe has sought Congressional support for recognition by the legislature. However, it has already been determined by the US government that the Chinook Indian Nation does not meet the seven criteria established by law to be recognized as a tribe. The unrecognized Tchinouk Indians of Oregon trace their Chinook ancestry to two Chinook women who married French Canadians traders from the Hudson's Bay Company prior to 1830. The specific Chinook band these women were from or if they were Lower or Upper Chinook could not be determined. These individuals, settled in the French Prairie region of northwestern Oregon, becoming part of the community of French-Canadians and Métis (Mix-Bloods). There is no evidence that they are a distinct Indian community within French Prairie. The Chinook Indian Nation denied that the Tchinouk had any common history with them or any organizational affiliation. On January 16, 1986, the Bureau of Indian Affairs determined that the Tchinouk Indians of Oregon do not meet the requirements necessary to be a federally recognized tribe. The unrecognized Clatsop-Nehalem Confederate Tribes has approximately 130 members today and claim to have Clatsop and Salish-speaking Tillamook (Nehalem) ancestry, which is contested by the Chinook Indian Nation (which claim 760 tribal people of Clatsop ancestry). The Conscription Crisis of 1917 (French: Crise de la conscription de 1917) was a political and military crisis in Canada during World War I. It was mainly caused by disagreement on whether men should be conscripted to fight in the war, but also brought out many issues regarding relations between French Canadians and English Canadians. Almost all French Canadians opposed conscription; they felt that they had no particular loyalty to either Britain or France. Led by Henri Bourassa, they felt their only loyalty was to Canada. English Canadians supported the war effort as they felt stronger ties to the British Empire .On January 1, 1918, the Unionist government began to enforce the Military Service Act. The act caused 404,385 men to be liable for military service, from which 385,510 sought exemption. The most violent opposition occurred in Quebec, where anti-war attitudes drawn from French-Canadian nationalism sparked a weekend of rioting between March 28 and April 1, 1918. The disturbances began on the Thursday when Dominion Police detained a French-Canadian man who had failed to present his draft exemption papers. Despite the man's release, an angry mob of nearly 200 soon descended upon the St. Roch District Police Station where the man had been held. Rioters then ransacked the conscription registration office as well as two pro-conscription newspapers within Quebec City. The final and bloodiest conflict happened Easter Monday, when crowds once again organized against the military presence in the city, which by then had grown to 1,200 soldiers. The soldiers were ordered to fire on the crowds, immediately causing them to disperse. Though the actual number of civilian casualties is debated, official reports from that day name five men killed by gunfire. Dozens more were injured. Among the soldiers are 32 recorded injuries that day, with no deaths. Monday, April 1, marked the end of the Easter Riots, which totaled over 150 casualties and $300,000 in damage. The Copper Country is an area in the Upper Peninsula of Michigan in the United States, including all of Keweenaw County, Michigan and most of Houghton, Baraga and Ontonagon counties as well as part of Marquette County. The area is so named as copper mining was prevalent there from 1845 until the late 1960s, with one mine (the White Pine mine) continuing through 1995. In its heyday, the area was the world's greatest producer of copper.The Copper Country is highly unusual among copper-mining districts in that the copper was predominantly in the form of copper metal (native copper) rather than the copper oxides or copper sulfides that form the copper ore at almost every other copper-mining district. Native Americans mined copper from small pits as early as 3000 B.C. The Michigan State Geologist Douglass Houghton (later to become mayor of Detroit) reported on the copper deposits in 1841. The first successful copper mine, the Cliff mine, began operations in 1845, and spurred by venture capital from Boston and other East Coast investors, many other mines quickly followed. Mining of the most productive deposit, the Calumet conglomerate, began in 1865. Mining took place along a belt that stretched about 100 miles southwest to northeast.While mining continues on a small scale, tourism and logging are now the area's major industries. Popular tourist destinations include the cities of Copper Harbor and Houghton, and the Porcupine Mountains with Lake of the Clouds. Snowmobiling is very popular in the winter, and snowmobile trails are found in most areas. Large numbers of Finns, Swedes, Danes, Sami and Norwegians emigrated to the Upper Peninsula, especially the Keweenaw Peninsula, to work in the mines. And they stayed on and prospered even after the copper mines closed.In addition to the aforementioned Nordic peoples, ethnic groups that inhabited the area included: Chinese; Cornish; Croatians; French Canadians; Germans; Irish; Italians; Native Americans; Poles; and Slovenes.The Copper Country is largely rural, and much of it has been designated as state parks or similar designations. These include McLain State Park, Porcupine Mountains State Park, and the Copper Country State Forest. The Keweenaw National Historical Park includes several important sites relating to the area's copper-mining history. Institutions of higher education include Finlandia University in Hancock, founded in 1896 as Suomi College, and Michigan Technological University in Houghton, originally established in 1885 as the Michigan School of Mines. Finlandia University is affiliated with the Evangelical Lutheran Church in America, reflecting the spiritual heritage of the region's many Finnish immigrants. Michigan Tech was founded in response to the needs of the copper mines. The Copper Country averages more snowfall than any part of the USA east of the Mississippi River, and more snowfall than any non-mountainous region of the continental United States. Franco-Albertans (French: Franco-Albertains) are an extended community of French Canadians or French-speaking people living in the Canadian province of Alberta. French Americans (French: Franco-Américains) are citizens or nationals of the United States who identify themselves with having full or partial French (and minority French Canadian) heritage, ethnicity, and/or ancestral ties. Sometimes referred to as Franco-Americans, members of this group are also those who have declared allegiance either informally or formally to both France and the United States of America. People with dual citizenship of both France and the United States are commonly referred to as French-Americans. As of January 2018, the largest population of French American people are in the state of Maine. The state is home to the largest French-speaking population in the country (Lewiston) and the largest concentration of people of French extraction (Madawaska). The second largest state housing French Americans is Louisiana. The largest French-speaking population (in terms of percentage of speakers) in the U.S. is found in St. Martin Parish. Country-wide, there are about 10.4 million U.S. residents that declare French ancestry or French Canadian descent, and about 1.32 million speak French at home as of 2010 census. An additional 750,000 U.S. residents speak a French-based creole language, according to the 2011 American Community Survey.While Americans of French descent make up a substantial percentage of the American population, French Americans are arguably less visible than other similarly sized ethnic groups. This is due in part to tendency of French American groups to identify more closely with "New World" their regional identities such as Acadian, Brayon, Cajun, or Louisiana Creole rather as a one coherent group. This has inhibited the development of a unified French American identity as is the case with other European American ethnic groups. French Canadian Americans (also referred to as Franco-Canadian Americans or Canadien Americans) are Americans of French Canadian descent. About 2.1 million U.S. residents cited this ancestry in the 2010 U.S. Census; the majority of them speak French at home. Americans of French-Canadian descent are most heavily concentrated in New England and the Midwest. Their ancestors mostly arrived in the United States from Quebec between 1840 and 1930, though some families became established as early as the 17th and 18th centuries. The term Canadien (French for "Canadian") may be used either in reference to nationality or ethnicity in regard to this population group. French-Canadian Americans, because of their proximity to Canada and Quebec, kept their language, culture, and religion alive much longer than any other ethnic group in the United States apart from Mexican Americans. Many "Little Canada" neighborhoods developed in New England cities, but gradually disappeared as their residents eventually assimilated into the American mainstream. A revival of the Canadian identity has taken place in the Midwestern states, where some families of French descent have lived for many generations. These states had been considered part of Canada until 1783. A return to their roots seems to be taking place, with a greater interest in all things that are Canadian or Québécois. Gentilly Township is a township in Polk County, Minnesota, United States. It is part of the Grand Forks-ND-MN Metropolitan Statistical Area. The population was 319 at the 2000 census. Founded by French-Canadians, Gentilly Township was organized in 1879, and named after Gentilly, Quebec. The history of the French in Baltimore dates back to the 18th century. The earliest wave of French immigration began in the mid-1700s, bringing many Acadian refugees from Canada's Maritime Provinces. The Acadians were exiled from Canada by the British during the French and Indian War. Later waves of French settlement in Baltimore from the 1790s to the early 1800s brought Roman Catholic refugees of the French Revolution and refugees of the Haitian Revolution from the French colony of Saint-Domingue. Joseph-Aldric Ouimet, (baptised Aldric) (May 20, 1848 – May 12, 1916) was a Canadian parliamentarian. Ouimet was first elected to the House of Commons of Canada in an 1873 by-election as Member of Parliament for Laval, Quebec. He was a Liberal-Conservative and supporter of the government of Sir John A. Macdonald. After being educated in a seminary, and a brief career as a journalist, Ouimet became a lawyer. He was first elected to the House of Commons at the age of 25. His advocacy of the rights of French-Canadians was challenged by the Conservative government's attitude to Louis Riel. Following the First Riel Rebellion, Ouimet argued for Riel to be pardoned, and, in 1875, voted against a Conservative motion to expel Riel from the seat in the House of Commons to which he had been elected. With the beginning of the Second Riel Rebellion in 1885, Minister of Militia Adolphe Caron asked Ouimet to raise a regiment from Montreal to join in the suppression of the uprising. Ouimet raised three hundred men, and led his regiment as its Lieutenant-Colonel. He was put under the command of Thomas Bland Strange who rejected Ouimet's proposal to negotiate safe passage for Riel. Strange sent Ouimet to Ottawa to secure supplies resulting in newspapers accusing him of desertion. He returned west and was placed in command of Fort Edmonton. Despite fighting against the rebels, Ouimet opposed the execution of Riel when he returned to Ottawa. Ouimet's pleas fell on deaf ears, and, despite his efforts, he was condemned by French-Canadians for having helped put down the rebellion. Ouimet voted in the House of Commons for a Liberal motion to censure the government for executing Riel. The execution of Riel seriously damaged the Conservative Party in Quebec, and was one of the key factors in the party's decline and eventual loss of power. In an attempt at conciliation, Prime Minister Macdonald nominated Ouimet for the position of Speaker of the House of Commons of Canada following the 1887 election. Because of the custom of alternating between English and French Speakers following each general election, Ouimet returned to the backbench following the 1891 election. Macdonald died in June 1891, and his longtime Quebec lieutenant, Sir Hector Langevin, was forced to resign from Cabinet due to a corruption scandal in August. In January 1892, Prime Minister Sir John Abbott made Ouimet the senior minister from Quebec, and appointed him to Langevin's old job as Minister of Public Works. Ouimet stayed in that position under the succession of Prime Ministers who attempted to keep the Conservative government together. He also served as Acting Minister of Agriculture and Acting Secretary of State for Canada under Sir Mackenzie Bowell. Bowell faced a caucus revolt over his handling of the Manitoba Schools Question and was forced to resign. The issue split the party as English Protestant Conservatives rejected Bowell's proposal to create a new Catholic School Board in Manitoba. With the fall of Bowell's cabinet, the opposition of Tory MPs to French Catholic rights in Manitoba further hurt the party's prospects among Catholic Quebecers. Perhaps sensing that the Conservative government was doomed and that his prospects of keeping his seat were dim as Quebecers turned against the Tories, Ouimet decided not to run in the 1896 election. He declined to serve in the short lived Cabinet of the Sir Charles Tupper, the final Tory Prime Minister prior to the election. He instead accepted a judicial appointment that he held until his death in 1916. He holds the current record for being acclaimed to parliament 5 times. Ouimet Canyon near Thunder Bay in northwestern Ontario is named for him. Little Canada (French: le petit Canada) is a name for any of the various communities where French Canadians congregated upon emigrating to the United States, in particular New England, in the 19th and early 20th centuries. A variant of Canadian French known as New England French is still spoken in parts of New England. The Quiet Revolution (French: Révolution tranquille) was a period of intense socio-political and socio-cultural change in the Canadian province of Québec, characterized by the effective secularization of government, the creation of a state-run welfare state (état-providence), and realignment of politics into federalist and sovereigntist (or separatist) factions and the eventual election of a pro-sovereignty provincial government in the 1976 election. The Quiet Revolution typically refers to the efforts made by the Liberal government of Jean Lesage (elected in 1960), and sometimes Robert Bourassa (elected in 1970 after the Union Nationale's Daniel Johnson in 1966), though given the profound effect of the changes, most provincial governments since the early 1960s have maintained an orientation based on core concepts developed and implemented in that era. A primary change was an effort by the provincial government to take more direct control over the fields of health care and education, which had previously been in the hands of the Roman Catholic Church. It created ministries of Health and Education, expanded the public service, and made massive investments in the public education system and provincial infrastructure. The government further allowed unionization of the civil service. It took measures to increase Québécois control over the province's economy and nationalized electricity production and distribution and worked to establish the Canada/Québec Pension Plan. Hydro-Québec was also created in an attempt to nationalize Québéc's electric companies. 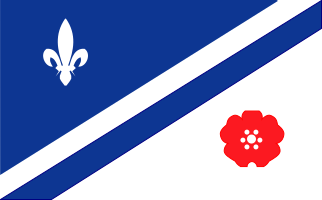 French-Canadians in Québec also adopted the new name 'Québécois', trying to create a separate identity from France and establish themselves as a reformed province. The Quiet Revolution was a period of unbridled economic and social development in Québec and Canada and paralleled similar developments in the West in general. It was a byproduct of Canada's 20-year post-war expansion and Québéc's position as the leading province for more than a century before and after Confederation. It witnessed particular changes to the built environment and social structures of Montreal, Québéc's leading city. The Quiet Revolution also extended beyond Québec's borders by virtue of its influence on contemporary Canadian politics. During the same era of renewed Quebecois nationalism, French Canadians made great inroads into both the structure and direction of the federal government and national policy. Moreover, certain facets of the welfare state, as they developed in Québec in the 1960s, became nationalized by virtue of Québec's acceptance and promotion. This would include rural electrification and healthcare initiatives undertaken by Tommy Douglas in Saskatchewan twenty years earlier. Quebecers or Quebeckers (Québécois in French, and sometimes also in English) are people living in the province of Quebec in Canada. It can also refer to the ethnic group of those who trace their ancestry from the first French settlers known as French Canadians.A majority in the House of Commons of Canada in 2006 approved a motion tabled by Prime Minister Stephen Harper, which stated that the Québécois are a nation within a united Canada. Harper later elaborated that the motion's definition of Québécois relies on personal decisions to self-identify as Québécois, and therefore is a personal choice. However, Gilles Duceppe, the leader of the Bloc Québécois, a sovereigntist party which then held the majority of seats in Quebec, disputed this view, stating that the Bloc considered the term "Québécois" to include all inhabitants of Quebec and accusing the Conservatives of wishing to ascribe an ethnic meaning to it. Self-identification as Québécois became dominant in the 1960s; prior to this, the Francophone people of Quebec identified themselves as French Canadians. Regulation 17 (French: Règlement 17) was a regulation of the Ontario Conservative government designed to shut down French-language schools at a time when Francophones from Quebec were moving into eastern Ontario. It was a regulation written by the Ministry of Education, issued in July 1912 by the Conservative government of premier Sir James P. Whitney. It restricted the use of French as a language of instruction to the first two years of schooling. It was amended in 1913, and it is that version that was applied throughout Ontario. French Canadians reacted vehemently, and lost, dooming its French-language Catholic schools. This was a reason why French Canadians distanced themselves from the subsequent World War I effort, as its young men refused to enlist. Saint George is an unincorporated community in Kankakee County, Illinois, United States. It was one of several populated places in the area settled largely by Metis and French Canadians in the 1840s. Sam Hunter (1858–1939) was a Canadian cartoonist and writer who worked for four Toronto newspapers. His work displayed his support for the Conservative Party of Canada and criticized Liberals such as Wilfrid Laurier, as well as French Canadians, Catholics, and Americans. Peter Desbarats and Terry Mosher described Hunter as "a great and gentle caricaturist". The Shiners' War was a conflict between Irish Catholic immigrants and French Canadians in Bytown from 1835 to 1845. The war started when Peter Aylen, a major Irish timber operator, organized a group of Irishmen to attack other timber operations. This group was known as the "Shiners." They attacked French Canadian timber rafts and fought against the French Canadian on the streets of Bytown. The Shiners also attacked political institutions. In the August 1835 Aylen and his supporters went to The Bathurst District Agricultural Society's annual meeting. His violent supporters incited the attending members to elect Aylen as President of the society. Aylen attempted the same strategy to take over a Nepean Township meeting but was met with too much resistance.Bytown's citizens created "The Association of the Preservation of the Public Peace in Bytown" which included armed patrols to try to control the violence, but it still continued. In the spring of 1837 the government deployed troops to arrest the Shiners and the violence was brought under control. Occasional violence still occurred until 1845 by groups claiming to be the Shiners. The Quebecers were a professional wrestling tag team in the World Wrestling Federation from 1993 to 1994 and again in 1998 who consisted of Jacques Rougeau and Pierre (Carl Ouellet). They also worked as The Amazing French-Canadians in World Championship Wrestling from 1996 to 1997.